We welcome you at the Faculty of Physical Education and Sports. Qualified pedagogical staff, having considerable experience in training of specialists in the field of physical culture and sports for almost 70 years. Separate educational building. The faculty has a separate academic building equipped with excellent classrooms for lectures and seminar classes, computer classrooms, anatomy classrooms and technical facilities. Thus, all disciplines are studied in one place and there is no need to move from one building to another building. The hostel for the students of the Faculty is situated next to the academic building, which allows you to get to the class very quickly, without using public transport. The modern material base of the faculty for practicing sports disciplines. The variety of sports facilities, equipped in accordance with modern requirements provides a high-level teaching of sports such as basketball, volleyball, football, swimming, athletics, gymnastics, martial arts, weightlifting and many others. Optimum conditions for sports improvement of students in the chosen field. Students of the Faculty of Physical Culture and Sports of the TSPU, showing highly qualified results in sport, have the opportunity to study on an individual schedule, regularly attend gatherings and sports competitions of various levels, combining them with their study. The largest number of state-financed places among similar faculties of the city of Tomsk, which significantly increases the chance for admission and training on a budgetary basis. Diversity of educational programs allows applicants to choose the course that will be most suitable for him/her. Historical importance of the faculty. The faculty of physical culture and sports of the TSPU was founded in 1949 and is the oldest in Siberia and long-established sports and student traditions distinguishes it from similar faculties of other Tomsk universities. We are sure that you will make the right choice by becoming a part of Faculty of Physical Education and Sports of TSPU! The Faculty of Physical Education and Sports was established in 1949 and is the oldest beyond the Urals among similar faculties. For 70 years the faculty has prepared more than 4 500 specialists in physical culture and sports. Among the graduates of the faculty are outstanding sportsmen and teachers. 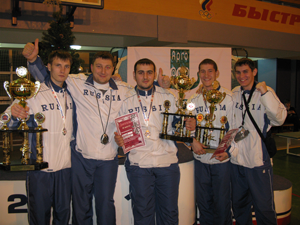 The contribution of graduate students to the sports achievements of the country and the Tomsk region is significant. Among graduates of the faculty are the Honored masters of sports, Masters of sports of international level, Masters of sports of the USSR and the Russian Federation. B. Yevstigneyev is a double master of sports in Greco-Roman wrestling and sambo; as well as achievements of our athletes A. Zyuzin, V. Kleshenogova, V. Kuznetsov, O. Druzhinina and many others. The Faculty of Physical Culture and Sports of TSPU offers a wide range of areas for training of bachelors and masters in the field of teacher education, physical culture and sports. 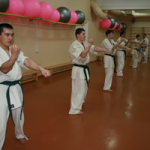 The "Pedagogical education" course allows graduates to work in various educational institutions, the "Physical Culture" course is related to the training of sportsmen, and “Adapted Physical Education" course allows the graduate to work with the category of people who have various health deviations. A highly professional pedagogical staff is working at the Faculty. Among them are Doctors of Sciences, professors, some of them having titles of "Honored Worker of Physical Culture", 17 candidates of science. 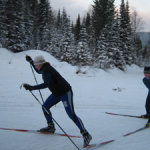 Classes on sports disciplines are conducted by teachers who have significant competitive experience, among them are Honored masters of sports, Masters of sports of international class, Masters of sports of the USSR and Russia, world record-holders. For instance the teaching staff of the Swimming Department includes: Master of sports of international class, World Champion in swimming in fins A.Yu. Vyazigin - Ph.D., associate professor of the Swimming Department; Twice Master of Sports of the USSR in underwater sport and officer triathlon. 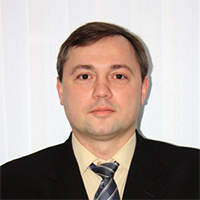 Bezotechestvo - Ph.D., Head of the Swimming Department. Honored Master of Sports, World and European Champion in Kettlebell Lifting - V.S. Polyansky, the senior lecturer of the department. During the study students have to choose a certain kind sport for specialization and throughout the study period they are going to study the theory and methodology of the chosen sport. Students are given an excellent opportunity to do sports, improve their sports skills, compete in various competitions. Students who are highly qualified athletes have an opportunity to learn on an individual schedule that takes into account the competitions. At the moment, among the students of the Faculty are - 1 Honored Master of Sports, 11 Masters of Sport of Russia, 30 candidates for the master of sports. • TSPU "Poseidon" swimming pool. The Faculty has a student self-government body - a student council, whose field of activity includes organization of public, scientific and cultural work of the students of the faculty. Members of the student council participate in the organization of holidays ("Dedication to students", "Olympic Ball", "Startus", etc. 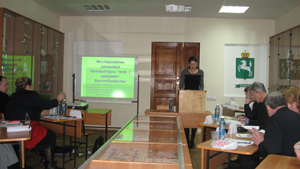 ), scientific and practical conferences, sports competitions and festivals. Students publish their own student newspaper called "Sports chronicle". V. Kharitonova - Master of Sports of Russia in track and field athletics, winner of the Championship of the Siberian Federal District, etc. The students of the faculty engaged in scientific activity are awarded with diplomas and certificates of competitions and conferences of the all-Russian and regional levels. Since 2009, the students of the faculty take part in the Interuniversity Regional Festival of Science and Sports of the Faculties of Physical Culture and Sports of the Pedagogical Institutes of the Siberian Federal District and have repeatedly become prize-winners of the festival. The student community is always ready to meet active, smart and independent young people! Join us at the Faculty of Physical Education and Sports of TSPU!